Home / D.H. Lawrence / Essays. / Poetry / Critical appreciation of the poem "Piano" by D.H. Lawrence. 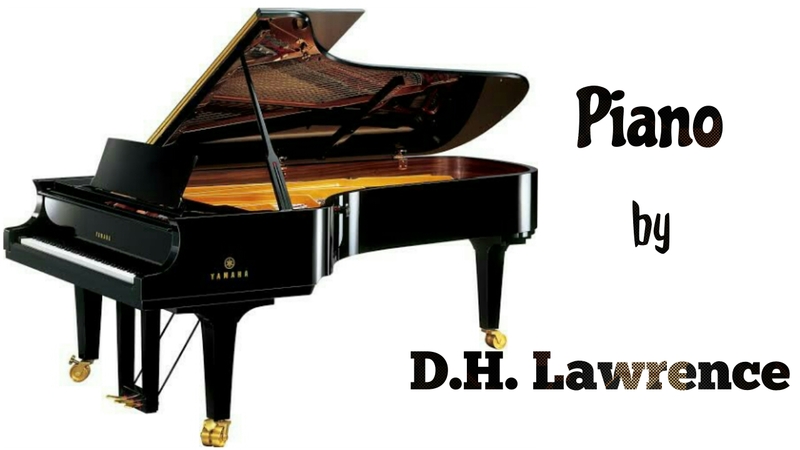 Critical appreciation of the poem "Piano" by D.H. Lawrence. The poem Piano is written by D. H. Lawrence who is famous in modern English literature mainly for his novels. But he has also written short stories, poems and literary essays of criticism. He has written a good number of poems, and as a poet also he has exhibited great skill. Piano is one of his short poems, but nicely written. The subject matter of the poem is simple: the poet’s nostalgia of his childhood days under the influence of a song sung by a woman on a big piano in darkness. The song takes him down the past years to his childhood. 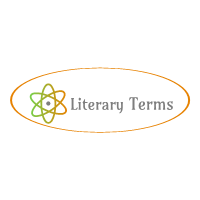 It is a poem based on a psychological fact that a child lives in every adult, and that the child is aroused in circumstances proper for such arousal. In the poem, the poet, a grown-up man, goes back in time to his pleasant childhood days under the insidious but strong influence of a song sung by a woman. Another psychological law that the poem illustrates is the law of association of ideas. That is, one idea brings into memory or thinking, another idea of similar dimension or of more complexity. The poem vividly depicts the fact that the childhood experiences of the poet himself were revived when in his mature age he was under the circumstances similar to those of his childhood. He used to listen to song of his mother with a piano in the darkness of the evening, winter outside, in his childhood days. When he was under similar circumstance -- a woman singing with a piano in the darkness of the night -- the childhood memories were evoked. The images are quite effective in conveying the impressions. The image of a woman singing in darkness is very evocative, and it effectively seryes as a stimulus for reviving the memories of the past. The repetiton of “S” sound in most of the words of this line produces a pleasant sibilance which serves the poets purpose very well. The prosodic meter used in the poem is complicated; there is no regular metre; sometimes there is iambic meter, and sometimes trochaic, or anapaestic metre. But rhyme has been maintained throughout; couplets have been formed; the first line rhymes with the second line, and the third line with the fourth, and so on. The poetic diction is simple. There is hardly any word which even an ordinary reader cannot understand. And words are chosen with a good sense of precision. Considered from the viewpoint of good elements of poetry, the poem has been a successful one. Tags # D.H. Lawrence # Essays.